Two weeks ago, Montgomery County released a study saying that a proposed Bus Rapid Transit system could drastically improve local commutes. However, the plan doesn’t go far enough to change the way people live and travel throughout the county. BRT routes serving Route 355, shown here in White Flint, would get nearly 65,000 riders a day. 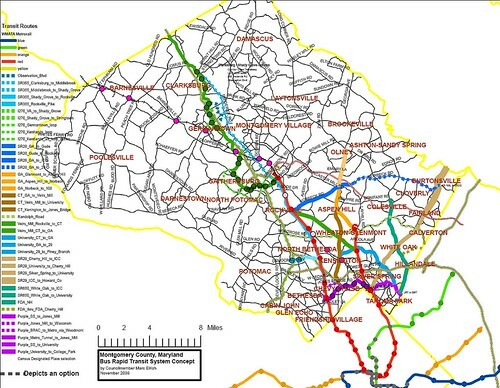 Councilmember Marc Elrich first proposed creating a countywide Bus Rapid Transit network in 2008. On May 4, planning consultants Parsons Brinckerhoff presented their report on the concept to the County Council and identified what they saw as the best places for BRT in Montgomery County. The consultants outline a 148-mile BRT system that goes farther than earlier proposals by Metro, with 16 routes and 150 stations. The system would cost around $2.5 billion to build excluding right-of-way acquisition costs. It would take between $144 million and $173 million a year to operate. According to their findings, the network would carry between 210,000 and 270,000 riders a day in 2040. (By comparison, an average of 717,000 people rode the entire Metro system on an average weekday last February.) 85,000 riders would switch to BRT from other modes of transportation, and 65,000 riders would come from just two routes, serving Route 355 between Clarksburg and Rockville and between Rockville and Bethesda. 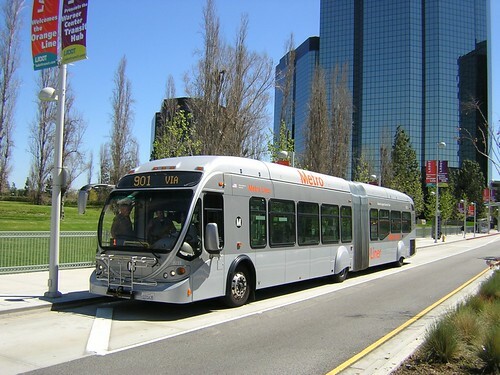 Parsons Brinckerhoff looked to successful BRT systems in places like Cleveland, Los Angeles and Eugene, Oregon for inspiration. The study assumed that two-thirds of the system would run buses either along dedicated guideways or special lanes separated from other vehicles, while the rest would run in mixed traffic. In addition, hundreds of intersections would get improvements like Transit Signal Priority or queue jumpers, which would help speed buses through. Unlike existing bus services in the county, which can stop as often as every block, the proposed system would place stations a half-mile to a mile apart. Stations would be substantial, with places for riders to wait and ticket machines, so drivers don't have to collect fares. Additionally, they would be located to accommodate people who arrived on foot, transferred from other buses or the Metro, or drove there. 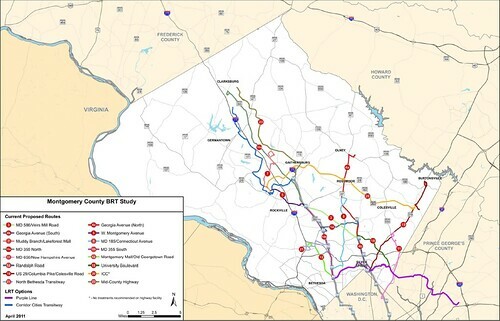 Parsons Brinckerhoff's proposal for BRT in Montgomery County. According to the study, BRT on major roads like Rockville Pike and Connecticut Avenue would be as fast as, and in some cases faster, than driving. A trip between Clarksburg and Rockville, which currently takes over an hour, would be only 45 minutes long. Meanwhile, the 55-minute trip between Burtonsville and Silver Spring would drop to only 38 minutes. In order for the system to work, the study says, BRT has to have special branding, distinct from the current Ride On service, so riders know that it’s special. Los Angeles’ Metro Rapid system, which uses special colors and signage to denote different kinds of bus routes, is a good example of that. The study also recommends that Montgomery County encourage higher-density, mixed-use development around BRT stations, so people can walk to transit and other amenities, thus reducing traffic. Councilmember Elrich's BRT plan from 2008. There are a lot of great ideas in Parsons Brinckerhoff’s report, but the discussion of land use actually raises one of the biggest issues with their proposal. Councilmember Elrich’s BRT plan, which came out three years ago, brought fast, frequent transit to all parts of Montgomery County, including on the east side. A number of places targeted for new development or job growth, like Kensington or White Oak, would be served by multiple BRT lines. Yet the new proposal focuses on the Upcounty, and on just delivering BRT passengers to Metro stations, without considering where people are coming from and where they want to go. 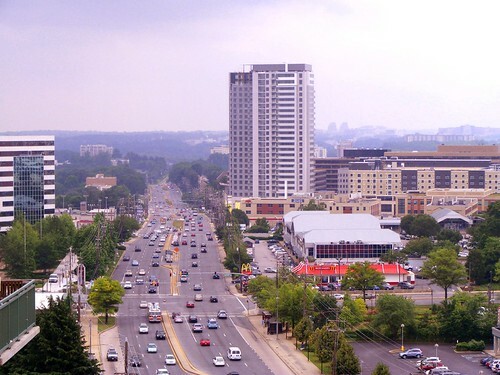 In the study, five lines serve the I-270 corridor north of Rockville, which is where most new development in Montgomery County will take place in the coming decades. 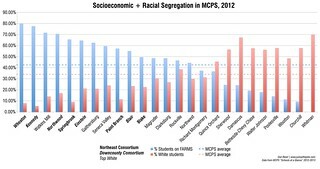 But there are limited connections between that area and the rest of the county, particularly the east side. The only direct, east-west connection in the plan, outside of the Purple Line, is a line along the InterCounty Connector, which will most likely produce park-and-ride lots, not walkable neighborhoods. Other east-west lines stop short of important destinations, like a Randolph Road line that only runs between White Flint and Glenmont. That line should continue to White Oak, home to the new Food and Drug Administration campus, a new Washington Adventist Hospital and the massive proposed LifeSci Village development. Likewise, a line along University Boulevard between Langley Park and Wheaton should continue west to Kensington, where it could meet the proposed Connecticut Avenue line while serving a redeveloped town center there. BRT in Los Angeles. Photo by Metro Transportation Library and Archive on Flickr. The BRT system should be designed to reinforce existing activity centers as well. Many of the lines simply end at a Metro station, forcing riders to transfer to get to more significant destinations. For instance, the Connecticut Avenue line runs only between Aspen Hill and the Medical Center Metro station. While some riders will only want to go that far, others who want to go to Bethesda would have to transfer to the Red Line, possibly discouraging them from using the service. In addition, the North Bethesda Transitway, which has been on the books for decades, would connect Montgomery Mall and the job-heavy Rock Spring Park area with Grosvenor-Strathmore Metro via Tuckerman Lane. But riders going to the rapidly-growing White Flint area, already a bigger draw than Strathmore, would also have to transfer. Councilmember Elrich’s Bus Rapid Transit plan promises to be a triple threat: it’ll beat congestion, provide new opportunities for development and do so without breaking the bank. Nonetheless, the plan needs refining if it’s going to have a lasting impact on the way we live, work and get around. With a few improvements, we’ll be well on our way to making Montgomery County one of the most progressive and innovative communities in the country. "The study also recommends that Montgomery County encourage higher-density, mixed-use development around BRT stations, so people can walk to transit and other amenities, thus reducing traffic." That's the key. BRT won't solve crap if people drive from new sprawl developments to massive parking lots around BRT stations. Good analysis, Dan. And I agree that the East/West strands of the transit "web" need strengthening (as you pointed out in the Randloph Road example). Just remember that East County had a master plan based on transit and buses back in 1981 (yes, Dan, I and others have chewed your ear about this), the theme then was a "concept of transit serviceability" (based on enhanced bus service) and it failed - miserably, and some of the problems (including crime along and near Castle Boulevard and the pupil turnover rate at Greencastle ES) are at least in part a direct result of that 1981 plan. There are a number of reasons why "transit serviceability" didn't work in the 1980's, but I'd argue that since then we've discovered (or rediscovered) that you need walkable neighborhoods AND density AND a mix of uses to make transit an integral and well-used part of a community. 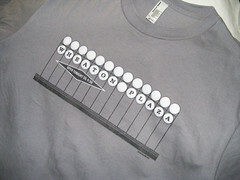 Just look at downtown Silver Spring/Bethesda/Wheaton/Rockville/White Flint/Twinbrook/King Farm/Takoma Park/Prince George's Plaza/Columbia Heights/U Street/Clarendon/Old Town Alexandria/etc. I could go on, but I'm out of breath. Mistakes were made in the 80's. And we can either choose to dwell on them and not try anything new, or find a way to make it work.